How about a Saturday post for you. Since I , no joke, fell asleep last night before I could get a post up. So let's just call this a super SUPER late Friday post. I am addicted to YouTube videos. Seriously. (If you have any suggestions for your favorite channel, please leave them below!) A couple of my favorite YouTubers have been raving about JulieG polishes, as well as a lot of nail bloggers. JulieG recently released a cruise collection, which consists of 6 super summery polishes. Today's post focuses on only one, as it's the only one I bought, Santorini. 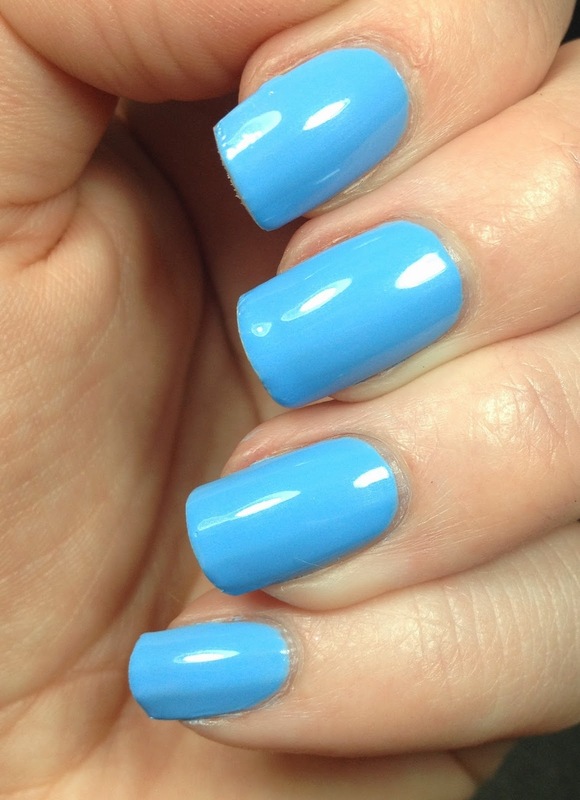 Santorini was the one polish I kept hearing about over and over (I am looking at you Nicole from Young Wild and Polished). So I figured I probably HAD to have it in my life. If everyone said it was great, then surely I had to buy it. This is another great example of how I got my blog name. Santorini is a bight cornflower blue, the Jessie's Girl site doesn't give a color description so I am not sure what they call it. 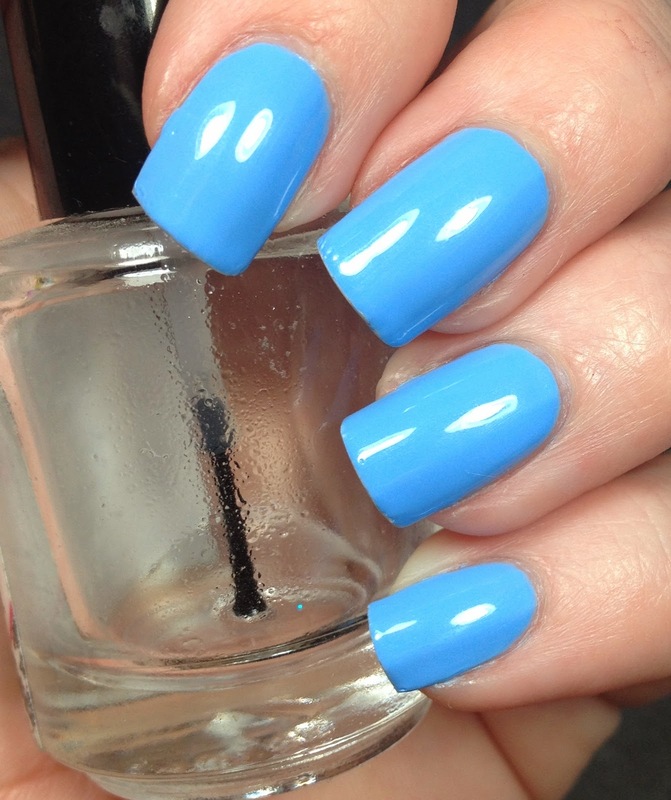 It's a great shade for fingers and toes for the warmer weather. I heard that the formula on these was fantastic and it sure was. I used two coats of Santorini over Barielle's ridge filling base coat and I topped it with Glisten and Glow HK Girl. I wore this for days with no chips, it was pretty amazing. These polishes are only $3.99 at you local Rite Aid (if you have one) or you can order at https://www.jessesgirlcosmetics.com. I think these are a great value and I will most likely be adding more to my collection. That is a lovely blue! Love my cremes.